Music is one of the most important part of life. It's a force that's driven and inspired us from day one. So, we've set out to make enjoying music easier. To have a better experience on music enjoying, we want to help you convert any video and audio files, even including DRM-ed Apple Music songs and Spotify music, to MP3, AAC or other formats. In addition, Our company provides you a good online video downloader and online video to audio converter to download music video form YouTube, Vevo, Vime, Myvideo, Liveleak etc. Any Audio Converter (For Windows) is a totally free audio converting tool with easy-to-use interface, which allows you to effortlessly convert video files. This audio converter can convert between almost all popular audio and video formats including AVI, MPEG, WMV, MOV, MP4, RM, ASF, FLV, MP3, M4A, WMA, WAV, FLAC, OGG, AU, MP2, and AC3 formats. Convert audio between any formats with lossless quality Freely. Burn video to DVD or AVCHD DVD. Download online music, videos in clicks on 100+ sites. Spotify Music Converter Freeware is a powerful Spotify Music Downloader, which can perfectly help Spotify users download Spotify music/playlist to MP3, AAC, WAC or FLAC file quickly. No need to install plug-in or subscribe to Spotify Music service, with Sidify Music Converter Free, you can enjoy Spotify music offline with ease. 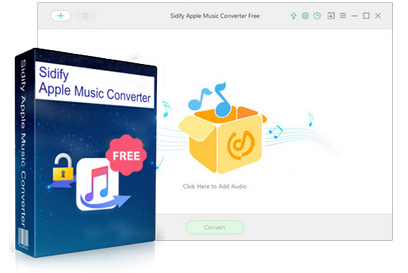 Apple Music Converter Free is an all-in-one iTunes audio converting tool. Built with innovative encoding technology, it aims to help users to convert Apple Music songs, iTunes M4P music and audiobook to plain MP3/AAC/WAV/FLAC format for streaming anywhere anytime. Convert Apple Music songs to MP3/AAC/WAV/FLAC. Support converting iTunes M4P music, audiobooks. Keep ID3 tags, including Artist and Album. Burn Apple Music to CD or share via email. 100% clean, safe and easy-to-use. 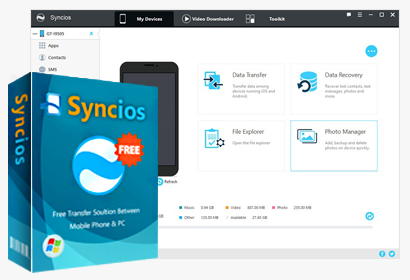 Syncios Manager is your one stop solution that lets you manage your iOS & Android in more convenient way. It enable you to transfer more than 12 types of data from mobile to computer, or from PC to Android & iOS devices. It only takes few clicks to copy phone data to computer in batches or selectively.